The Chemistry Department offers its expertise and facilities in the field of isolation, analysis, and/or structural elucidation of Natural Products of interest. The combined international experience of our team in international industrial research has resulted in an efficient operation in the parallel handling of large numbers of complex microbial extracts for discovery of new Natural Products in a highly efficient, cost effective manner. 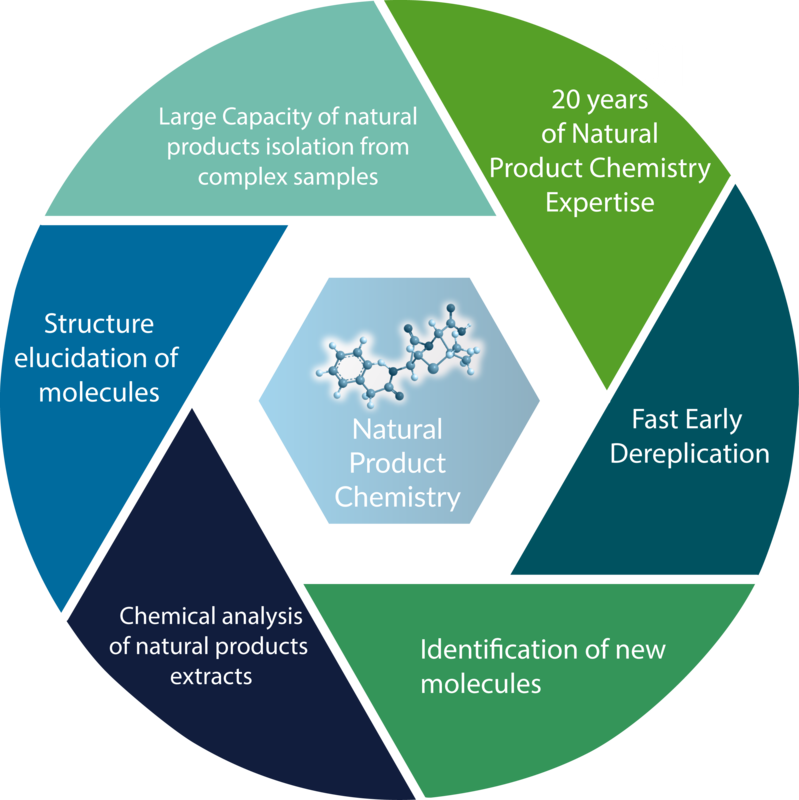 Early LC-MS/NMR allows for fast dereplication and identification of high interest samples, and the complete structure elucidation of novel molecules. We also provide detailed chemical analysis of extracts of Natural origin, with or without isolation of individual components. 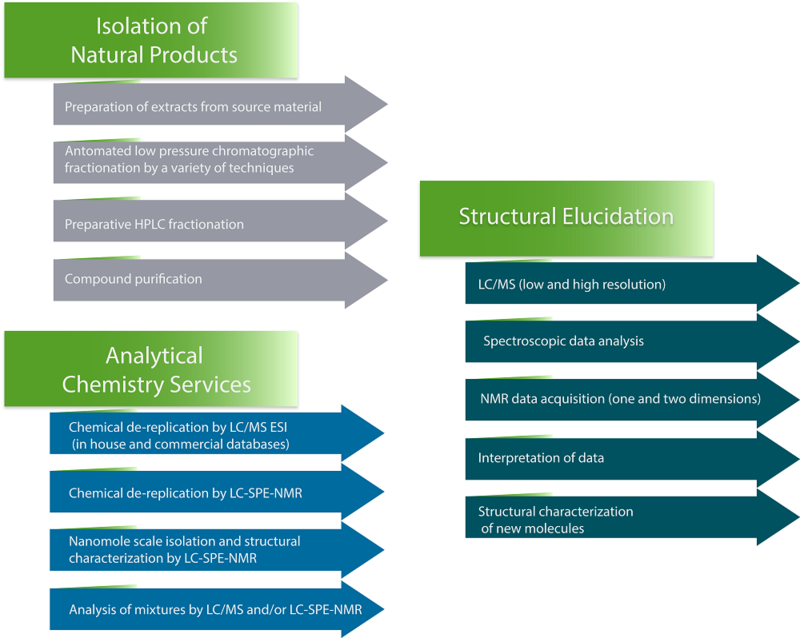 Additionally, we provide structural elucidation services and expertise to those clients interested in the determination of the structures of new molecules isolated in their laboratories.